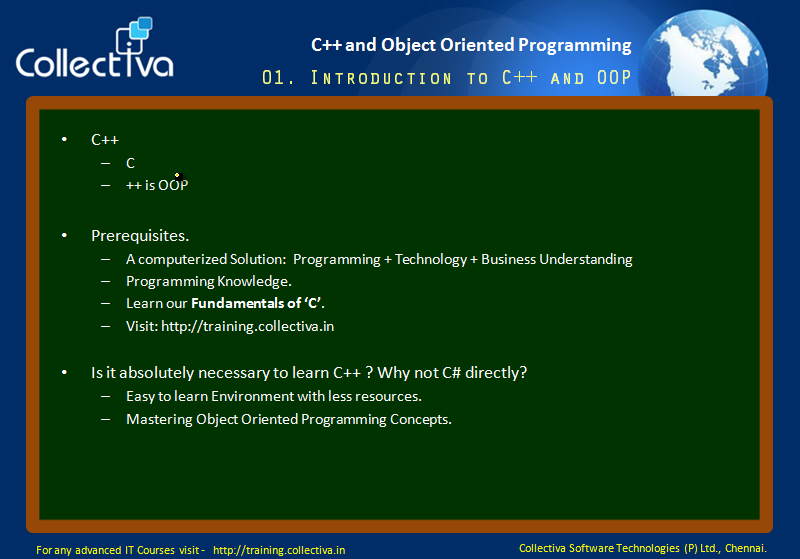 C++ is the first object oriented programming (OOP) developed after the C language. 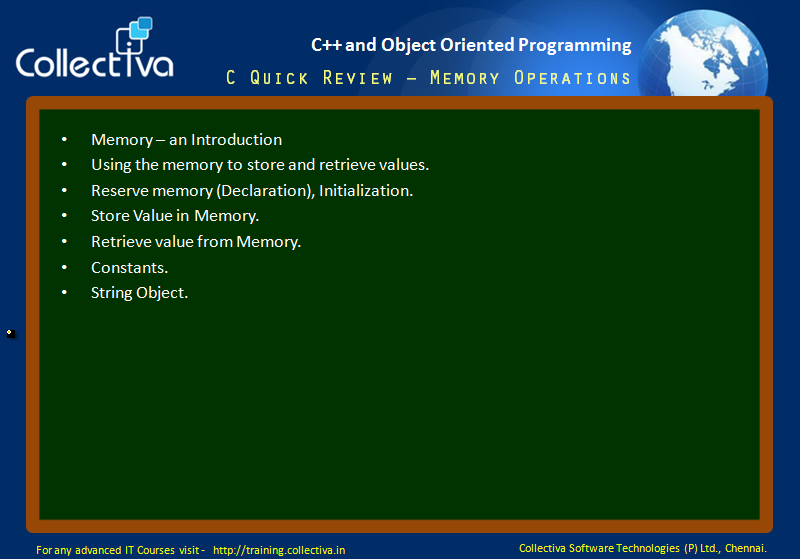 It has got all the features of C language and additional features that helps to program in Object Oriented Programming Way. That means, C language with some additions, in short term in C language to increment a variable ++ is used. So they called this new language as C++. This is the base language for any modern day's Object Oriented Programming Language. Mastering this programming language will help you to build your career remarkably.